Sputnik: Has Jacob Zuma had any successes during his time in power and is he largely a popular or unpopular figure among the South African Public? James Hammill: I think the Zuma era has been one long national nightmare for South Africa. 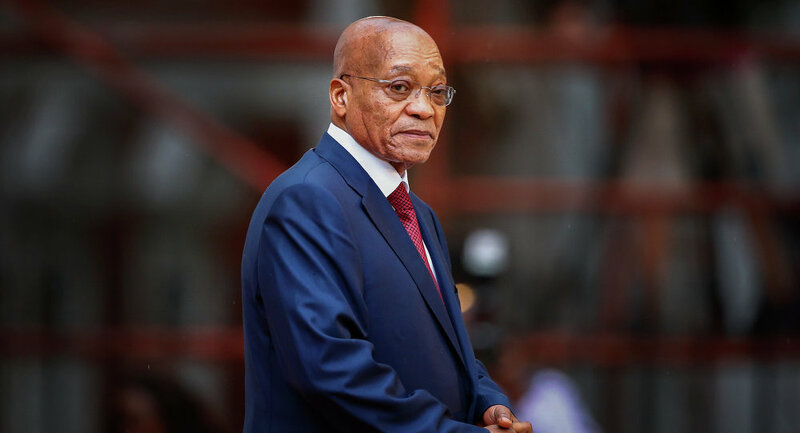 Jacob Zuma has demonstrated repeatedly unfortunately that he is intellectually and morally unequipped for the South African Presidency.The defining features of his tenure have been an increase in corruption, which has now become systemic in state institutions and state owned enterprises. There is evidence that many of these state owned enterprises have been captured by private interest and investors close to the president and they’re engaging in self-enrichment schemes at the expense of the South African population. Some 12 million people in South Africa live in absolute poverty, over 20 percent of the population. They have a stagnating economy, which barely registered any growth in 2017 and forecasts for 2018 are at best around 1%. There are a colossal 27.7% of the working age population unemployed, according to official figures. The unofficial figures are much higher. Unemployment is catastrophically high among young South Africans, and my point would be that Jacob Zuma has been unable to demonstrate any leadership on these issues throughout his tenure. It remains entirely unclear what he stands for, beyond the advancement of his own personal interest and those in his network, he seems to have no body of ideas to draw upon, and his record has been characterised by drift and deferral of key issues. His time in office has largely been consumed by crisis management, fighting off scandals, personal charges of corruption and demands that he should resign. It’s been a decade of non-governance, which a country like South Africa simply cannot afford, given the scale of its problems. Sputnik: Who will be Zuma’s likely replacement and how we he/she go about solving South Africa’s social and economic problems? James Hammill: I think we know for sure who the successor will be, that will be Cyril Ramaphosa, who was elected the new leader of the ANC in September and he may take over as early as tomorrow, he will be the next South African President that is guaranteed. He has a massive task on his hands given the scale of the problems we’ve just been talking about, what we do not have any sense of yet is what Ramaphosa stands for, what is his likely approach to macro-economic policy, what are his priorities? He remains very vague and very ill defined in those areas. There are some positives with Ramaphosa, he’s much more capable intellectually than Zuma, he’s obviously a much more competent manager, and he may be able to bridge the divide between businesses and labour, as he’s been active in both camps, he’s a wealthy businessman who was previously leader of the national union of mine workers. He doesn’t have any association with corruption, and he clearly enjoys the confidence of both business and organised labour, at least for now. I think his appointment will certainly cheer up investors and certainly the ratings agencies, but he still has to define himself and articulate what he stands for. He also has to manage a very diverse and eclectic organisation, the ANC as it’s routinely described, is a broad church and the problem with such a church is clear policy decisions by the leader, will always run the risk of alienating certain factions, it’s a very fractious, very divided organisation, so it is difficult to imagine how he can perform this balancing act indefinitely. Ramaphosa will be acutely aware that the drift and the non-decision making of the Zuma era simply cannot continue. Sputnik: Is racism still a strong problem in contemporary post-apartheid South Africa? James Hamill: Racism inevitably still exists in a society with such a dark history as South Africa. What I would say, is that overt racism has largely been driven underground, it doesn’t mean it’s been removed, it means it’s been driven underground. It’s socially taboo. I think what the real pressing question around race is in the country, is continuing racial division. While it’s no longer accurate to say that South Africa is two nations, one rich and white, the other black and poor, because there is now a multi-racial middle class; nonetheless, the poor are still overwhelmingly black, and the rich are disproportionately white. The average white household is still six times richer, than the average black household. Absolute poverty, unemployment, lack of access to basic services, remains problems largely confined to the black population. That’s a major blemish on the ANC’S record, almost a quarter of a century on from liberation. It’s that continuing oppression of poverty for millions of South Africans, which will be right at the top of Ramaphosa’s in tray when he comes into power in the next day or so. The views expressed in this article by James Hamill are solely those of the speaker and do not necessarily reflect the position of Sputnik.